This award is funded by the Division of Hospital Medicine and provides salary support to one Hospital Medicine faculty member each year to facilitate mentored quality improvement work. This award provides funding to one Department of Internal Medicine faculty member each year and is designed to help develop leaders in quality improvement within the Department. This year's recipient is Daniel Giesler, MD from the Division of Hospital Medicine. 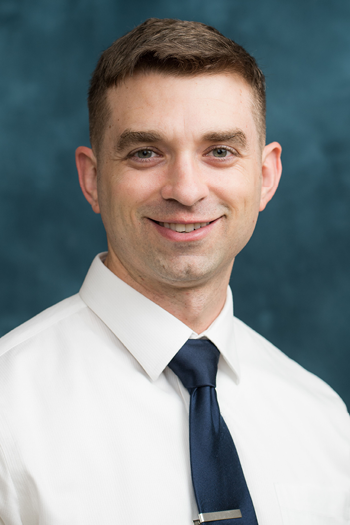 View the Department of Internal Medicine Quality Improvement Award page to learn more about Dr. Giesler and his project. Do patients prefer to receive communication using visual tools? What type of tool/s (e.g., whiteboards in patient room or pictures of providers) do patients prefer to use? What aspects of the tools’ design/content (e.g., name and picture of physician, nurses, goals of care, tests/procedures planned for the day) are most important to patients? Survey hospitalists and nurses on their views regarding use/limitations of such visual tools (including frequency of use, beliefs about information presentation, content and accuracy, and willingness to use this tool as a format to communicate with patients). Triangulate data from these surveys with our learning from the systematic review to develop a novel, patient-informed visual tool that will be pilot-tested on select units and assess influence on patient-provider communication and satisfaction with care. Patient-provider communication and satisfaction will be measured using standardized Likert scales.